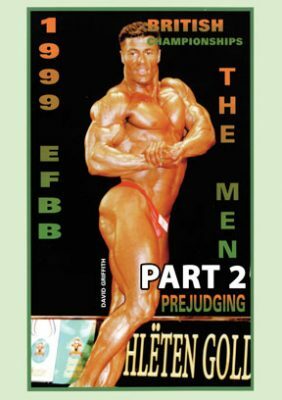 This DVD presents the cream of British Bodybuilding at the EFBB British championships held in the magnificent Royal Centre in Nottingham, England on October 17th, 1999. The posing routines are shown for all competitors who competed in the above different classes. All lineups and key comparisons are included making this a monstrous feast of male muscle! Highlights include GMV’s pick of the new physiques for the year 2000; and the titanic battle in the Over 90 Kg class between PETER BROWN and JAMO NEZZAR. Peter was simply too good!